The Canto Urban Bass Guitar Gigbag is manufactured in Poland and provides traditionally sized bass guitars with sufficient protection both in transportation and in storage. A soft suede lining adorns the interior while the concealment of the zippers ensures no scratches transfer on to your instrument. 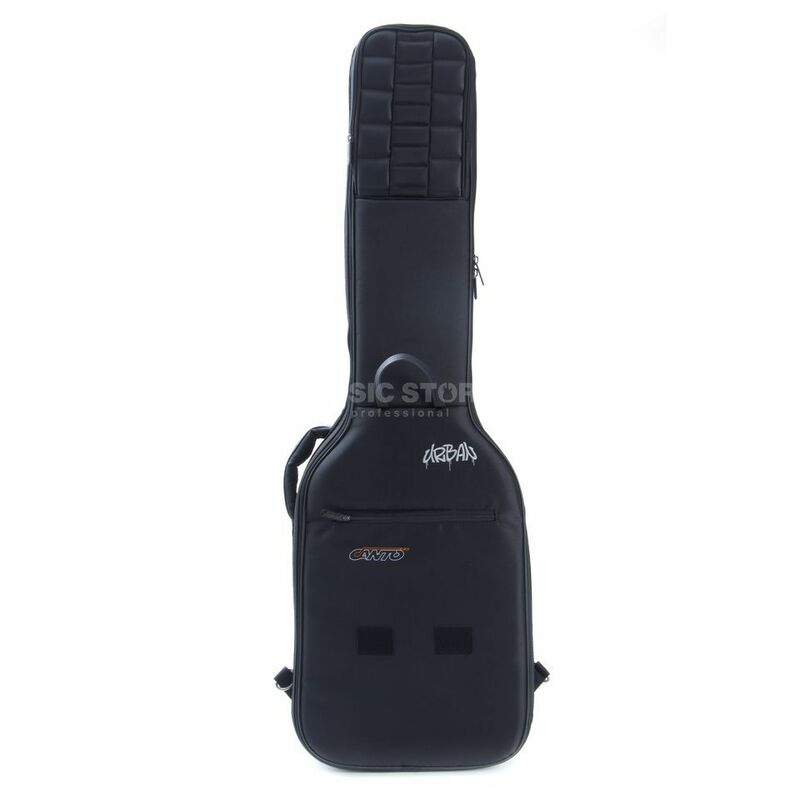 The Urban guitar bag comes with an extra robust construction with secure neck mounting offering further peace of mind to arguably the most susceptible part of a guitar’s make up. A special feature of the Canto Bass Guitar Bag Urban is a removable accessory pouch, which can be used by attaching the strap supplied as styled shoulder bag. Moreover, there is another accessory compartment for small parts at the top of the bag.